Internationally renowned author D. M. Thomas will be reading extracts from and signing copies of his latest novel, Hunters in the Snow, at the Truro branch of Waterstones on the evening of the 27th of January 2015. As well as being Holocaust Memorial Day, the 27th is also the author's 80th birthday, so it should all make for a very interesting evening. Hunters in the Snow is D. M. Thomas's 14th novel and is also his first for 14 years. The book is available now from all good retailers. Call Waterstones on 01872 225765 for further details of the event or join it on Facebook or Goodreads. Donald Rawe, Chairman of the Cornish Literary Guild, and Marjorie James from the same organisation present the Cornish Literary Guild Salver to Laurence Green. 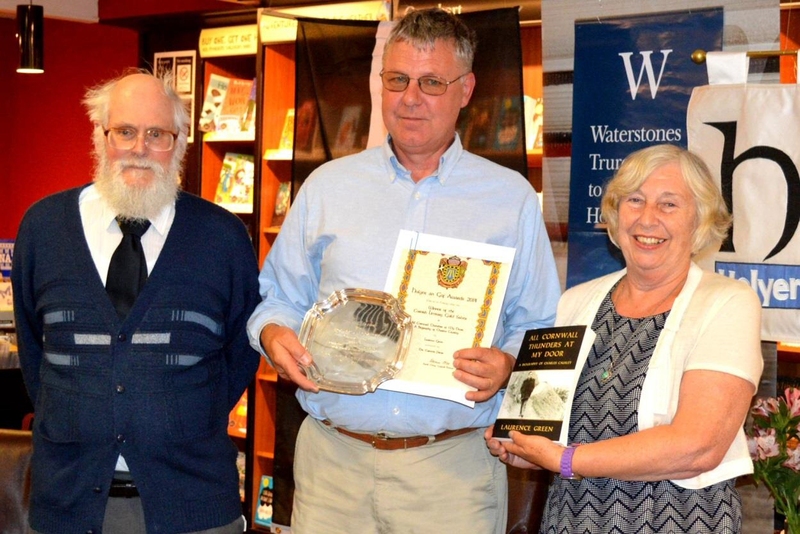 We were proud to attend the 2014 Holyer an Gof awards at Waterstones in Truro on 15th July to witness Laurence Green pick up the prestigious Cornish Literary Guild Salver for outstanding authorship for his book All Cornwall Thunders at My Door: A Biography of Charles Causley. The award was presented by Donald Rawe, a longstanding friend of Causley, who gave a lengthy and heartfelt speech about the Cornish poet and of how much he appreciated this first biography of "the greatest poet laureate we never had." 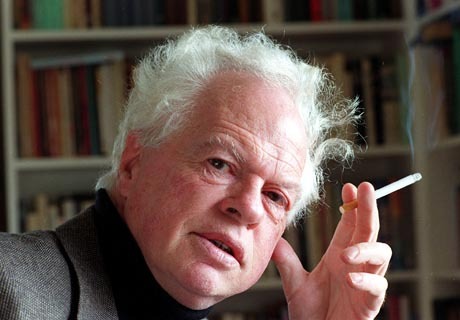 Hopefully this is the first of many such awards, for both Laurence and for The Cornovia Press, and, fittingly, Following 'An Gof', the biography of Len Truran by Derek R. Williams, is to be submitted for next year's awards.